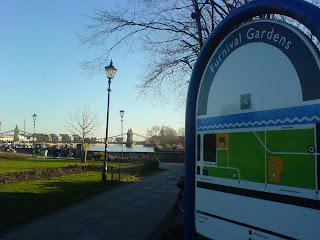 Around thirty local residents and I attended the licensing committee at H&F Council to object to an unlimited entertainment licence for the Furnival Gardens river-front park in Hammersmith. However, this applicant was no ordinary applicant. It wasn’t a local bar, a restaurant or night club. It was, in fact, H&F Council itself who had amended their application and now wanted to have a licence that would allow up to 5000 revellers to drink alcohol and listen to loud music from 11.00am to 10.30pm for every day of the year - if they chose. A member of H&F’s Conservative Administration and a range of officials attended the meeting to urge the Committee to grant the licence. When asked why H&F Council hadn’t chosen to put in a seperate application for each event as they arose - which would ensure the public’s rights to be consulted - a senior official said that H&F Council “didn’t have the resources to do that” anymore. The meeting became farcical when one resident asked how H&F Council would treat breaches of the licence such as noise or anti-social behaviour. An official explained that H&F Council "could not take action against itself " and so it "wouldn’t do so". The Licensing Committee agreed the application by a majority vote - with some minor amendments. The three person committee spit the vote with Cllr. Alex Karmel (Con) and Cllr. Greg Smith (Con) voting for granting the application and Cllr. Colin Aherne (Lab) voting against. Ravenscourt and Bishops Parks were given similar licences at the end of last year, after H&F's Conservative Administration introduced this new licensing policy for local parks and open spaces. As was said at the meeting, A fait accomple.A closed shop and ridiculous the council , like MP's ,are allowed to regulate themselves.The point is WHERE and WHO did the original idea come from to think that we need yet another area beyond the (albeit recently closed) Palais, the Apollo ( capable of housing thousands), Shepherds Bush Empire,the Bush theatre.it seems that no matter how much we object, the base position is that it IS going to happen.The amendments are just throwing a bone to objectors.I would like to know what the decibel level in the Gardens are already at objectionable levels due to the noise from the A4.It is nonsense to believe that anyone will monitor correctly legal levels of noise, alcohol,security,litter, parking issues for residents, protective of the elderly and children's welfare, when there is money to be made.